17 Pics. 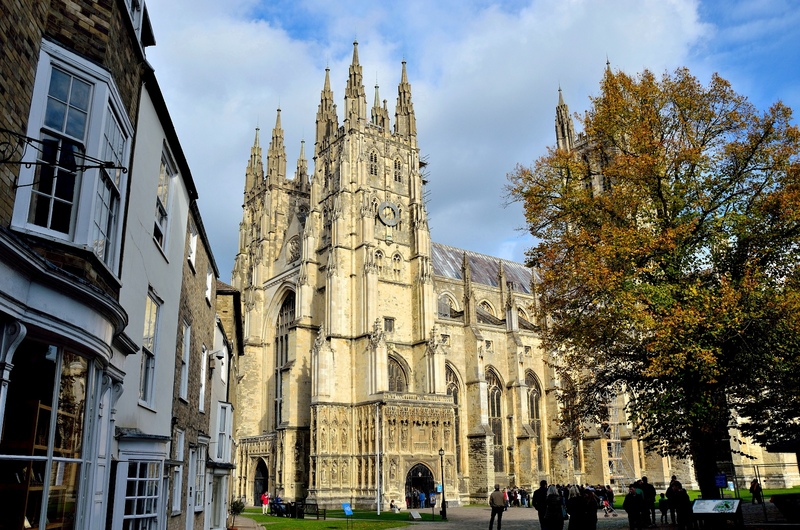 Canterbury Cathedral ⇒ was founded in 597 by Augustine and enlarged during the 11th and 12th centuries. 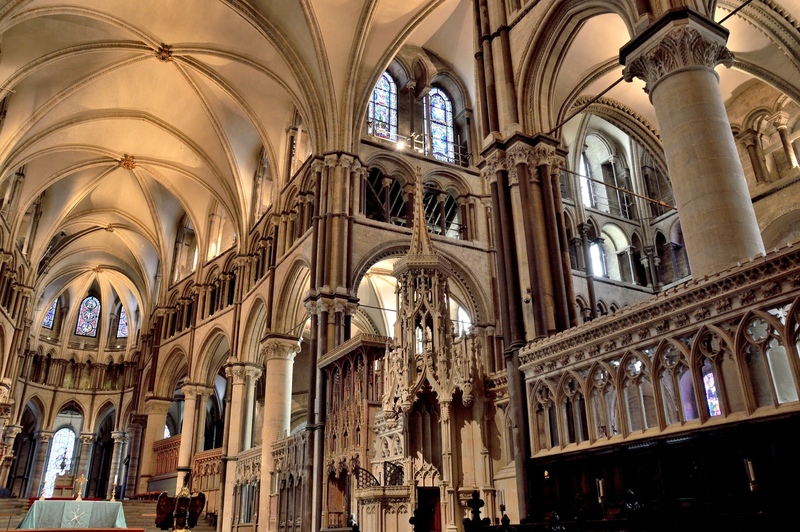 The cathedral became notable when archbishop Thomas Becket ⇒ was murdered there by followers of Henry II. 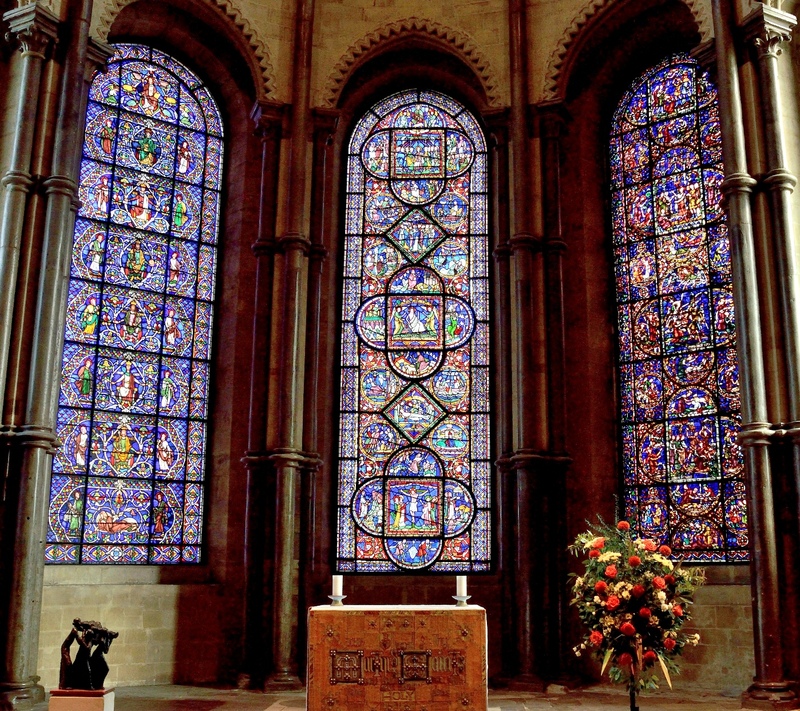 Becket was later cannonised as a martyr and Canterbury became a place of pilgrimage. 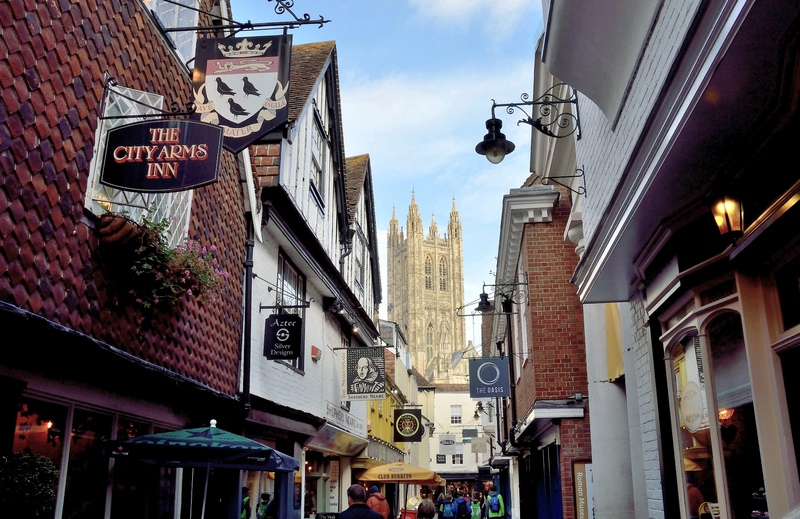 Canterbury became yet more famous when Chaucer wrote The Canterbury Tales ⇒ in 1386. 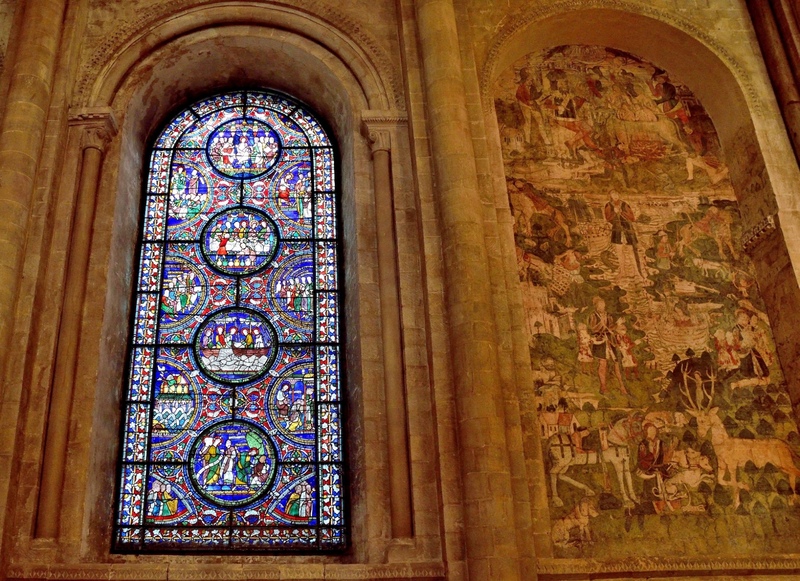 The cathedral is not so greatly ornate as St Paul’s Cathedral ⇐ but it is an extraordinary sight. There is a charge for entry so please see the website ⇒. The gate to the cathedral precincts. 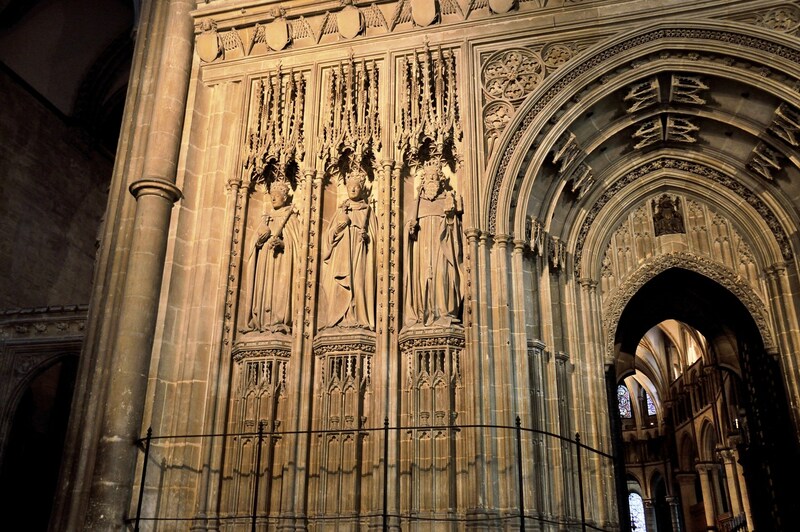 The entrance leads into the Nave and one is struck by the huge size and antiquity of the cathedral. The ability to construct on this scale without the assistance of modern technology is awe inspiring. 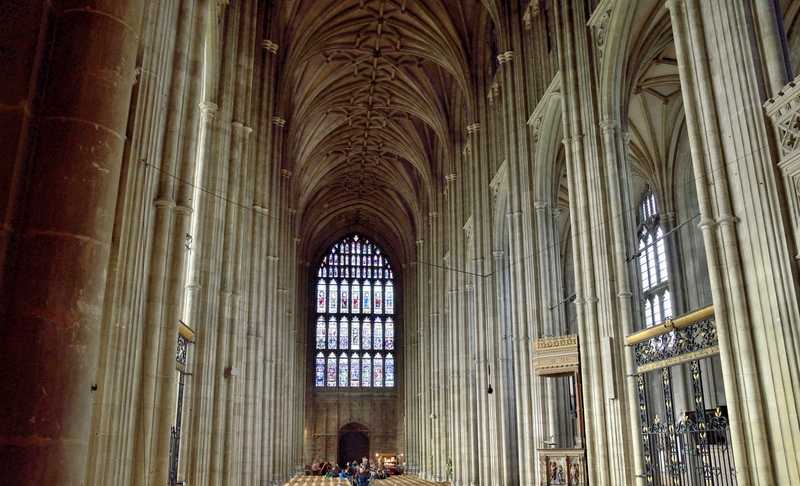 Looking back from the far end of the Nave. 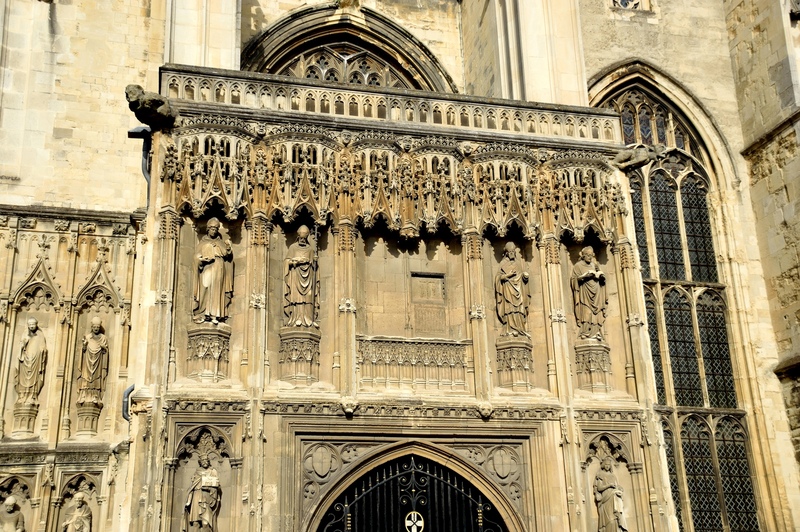 Continuing further there is the entrance to the Quire and Trinity Chapel. 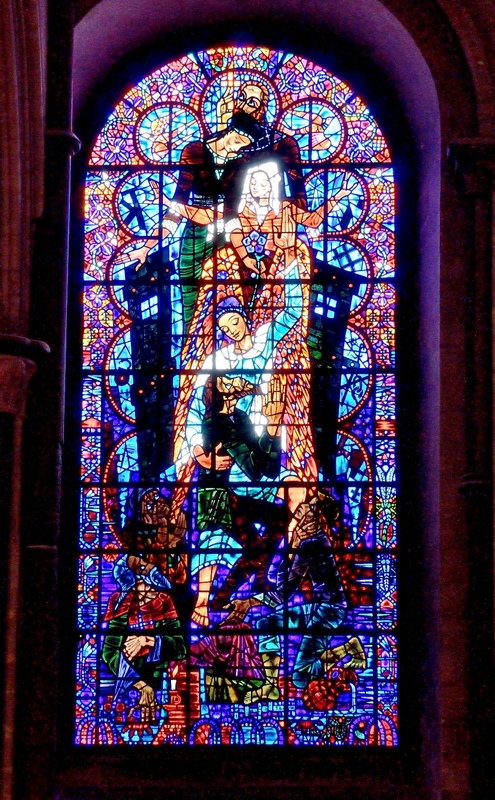 Some of the stained glass along the way. The Quire and Trinity Chapel. The tomb of Archbishop Chichelle. 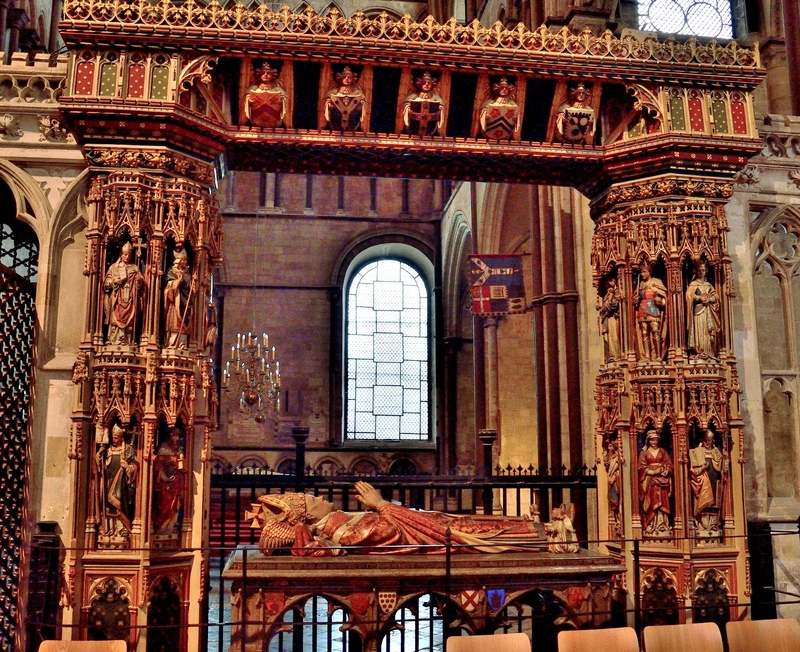 There are many tombs in the cathedral including Henry IV and Edward the Black Prince. 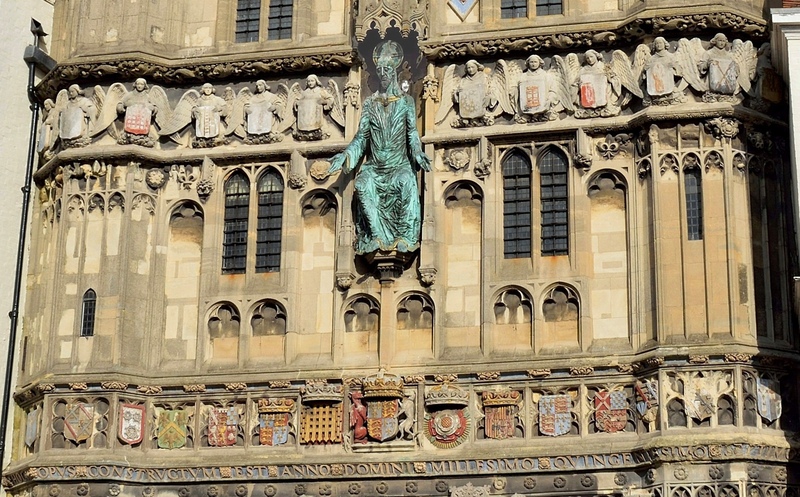 Archbishop Chicelle is the most ornate. 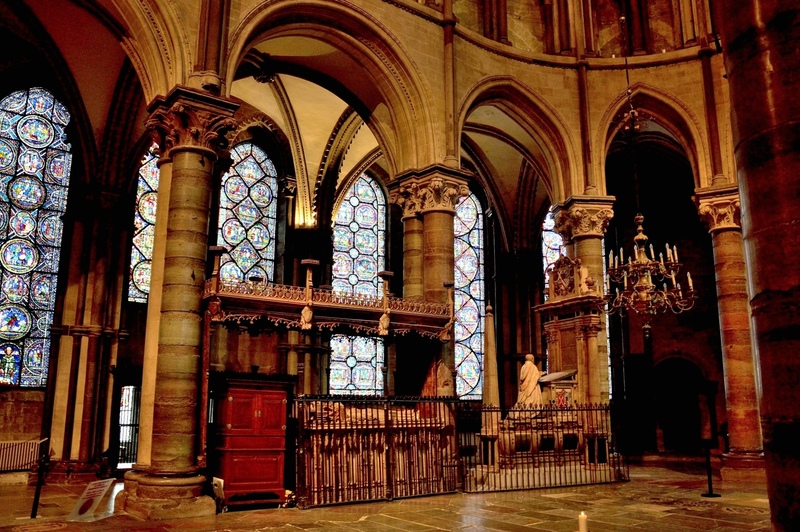 Thomas Becket was buried beneath Trinity Chapel but his bones were destroyed during the Dissolution of the Monasteries in the reign of Henry VIII . 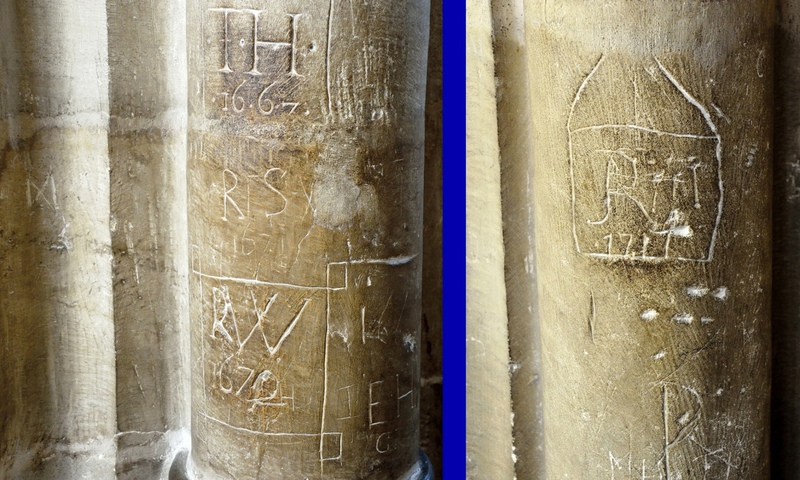 It seems that graffiti is nothing new, although it is always worth taking a close look in old churches and buildings for Witch Marks ⇒, which are not quite as they sound. AND don’t miss out on the Cloisters with their extraordinary ceilings (I did). They are at the back of the cathedral. Here are some Google pictures ⇒ . 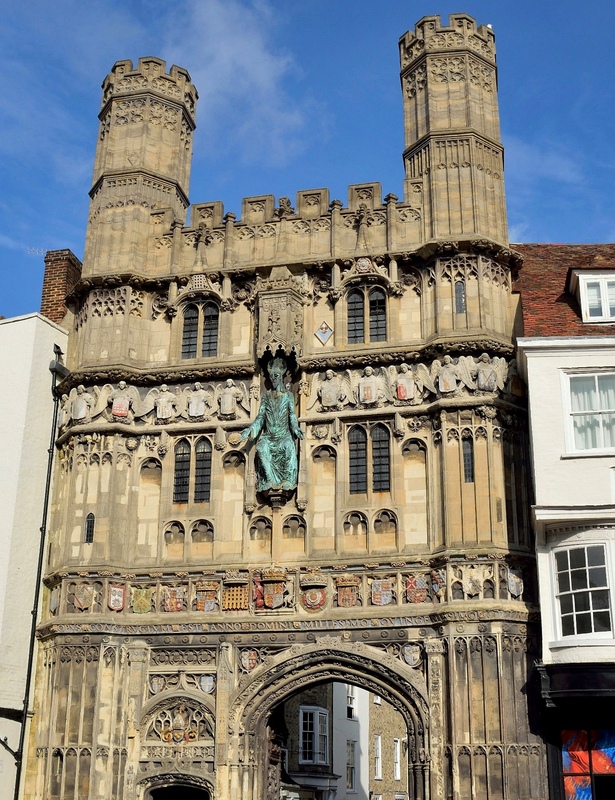 Thanks for visiting Freed From Time and there are a lot venues at About Canterbury ⇐. This entry was posted on October 30, 2016 by Graham in Hats. 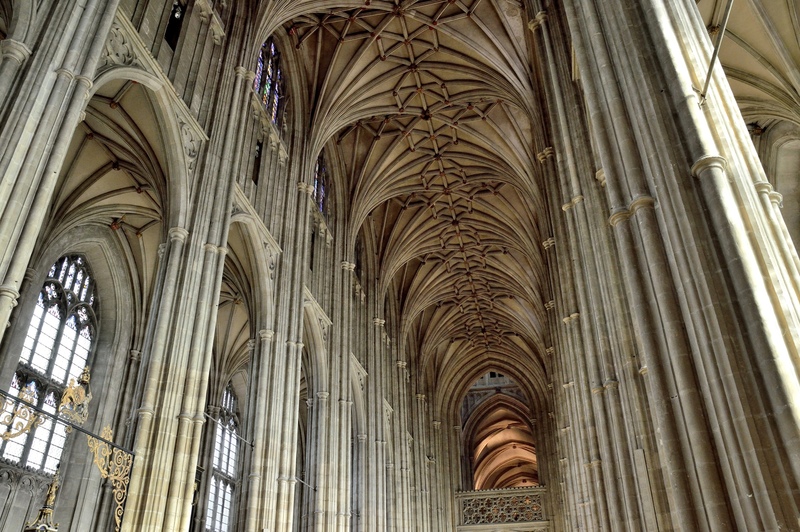 It was filed under East London, History, Photography, Places to Photograph Near London, Places to Visit, Travel, uk and was tagged with canterbury, cathedrals, chaucer, chichelle, Stained Glass, Thomas Becket, trinity chapel. Very impressive photography of an equally impressive architectural wonder. Thank you also for the informative historical snippets. 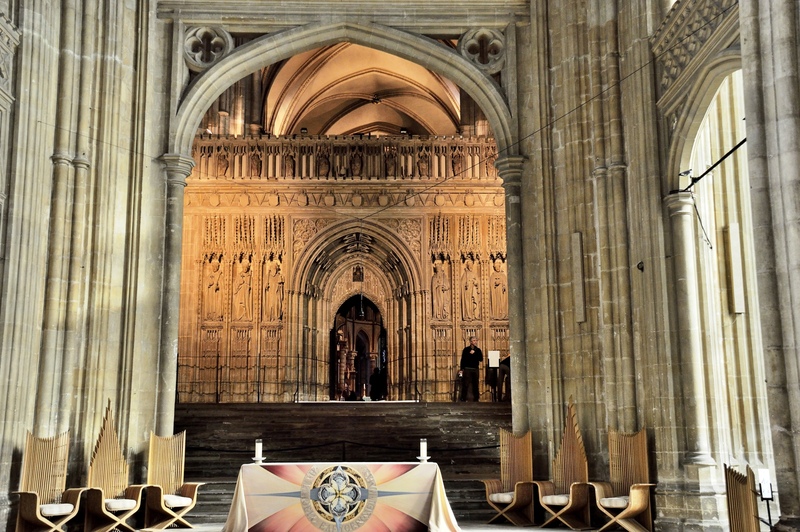 I was surprised to read the link you quoted re Witch Marks: “Etched in the ancient walls and pews of Medieval churches are spells, talismans, and curses. 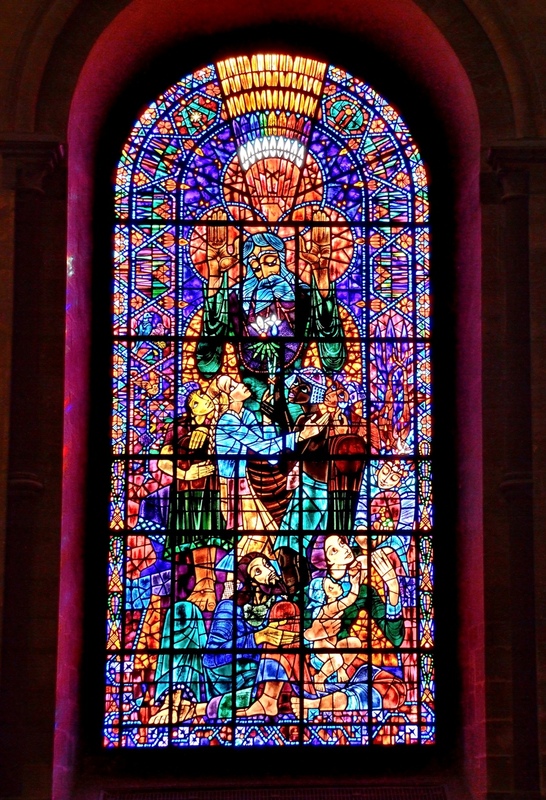 They were created by both the parishioners and, more surprisingly, their church.” A fascinating article. Indeed it is remarkable to have built the cathedral in those times! The masonry is marvellous notwithstanding the “witch marks” that scrawl the base of the colonnades. That’s right! When we were on Santorini, we saw the ancient village of Akrotiri which had advanced plumbing! That’s like more than 2500 years ago! Amazing how much was done so long ago and (sorry couldn’t help it) I’m sure that they were flushed with success. 😀 :-D.
ci si sente piccoli piccoli difronte a tanta grandiosità e splendore! It’s such a beautiful cathedral! Lovely shots. The detail is impressive on this cathedral. It looks massive – must seem even more so in person! Very much so. If you look at the base of the 8th picture, you can see a few tiny people.